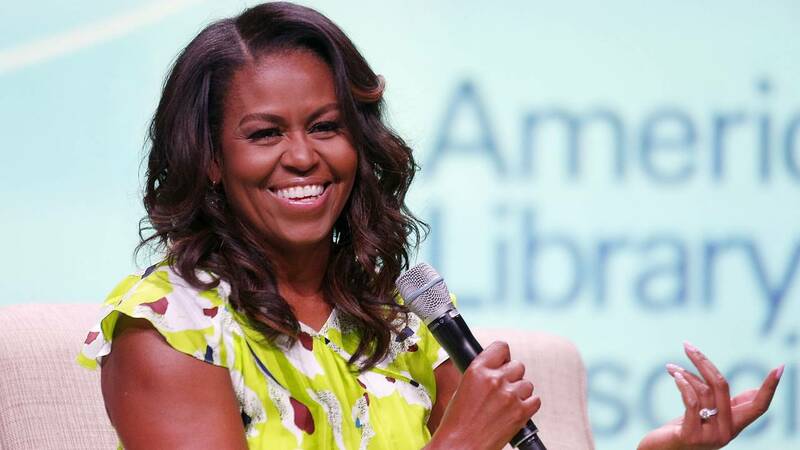 (CNN) - Free from the constraints she might have felt while living in the White House, former first lady Michelle Obama is getting personal, opening herself up to the world in bold ways in her memoir, "Becoming," out Tuesday. One piece of her journey that she delves into: the struggles she faced with infertility, a subject that so often remains in the shadows. She shared details about how she had a miscarriage and relied on in vitro fertilization to conceive her two girls, according to the Washington Post, which received an advance copy of the book. She also revealed how she was left to give herself the necessary shots when her husband was off fulfilling his duties in the state Legislature. "I felt lost and alone, and I felt like I failed," she told Robin Roberts in an interview that ran Friday on "Good Morning America." "I didn't know how common miscarriages were, because we don't talk about them. We sit in our own pain, thinking that somehow we're broken." What Obama articulates is "so universal, not just throughout the US but around the world," says Dr. Zev Williams, director of the Columbia University Fertility Center. "There's a real sense of self-blame and guilt and a reluctance to discuss it with other people." Williams co-authored a 2015 study looking into public perceptions of miscarriage. Even though he says miscarriage or pregnancy loss occurs in at least 20% of all pregnancies, 55% of those who responded to his survey thought miscarriage was rare, occurring in 5% or less of pregnancies, and some believed that they occur "in under 0.1% of pregnancies," he said. Not only are miscarriages common, they are "in almost all cases" not the mother's fault, Williams added. The fact that this sort of information isn't widely known only makes matters worse. "Of those who had a miscarriage, 37% felt they had a lost a child, 47% felt guilty, 41% reported feeling that they had done something wrong, 41% felt alone, and 28% felt ashamed," the study reported. Obama has revealed that she's no different from other women who've suffered in silence. And the fact that she is speaking out today is significant, Williams said. "This happened 20 years ago, and she's talking about it now, which really reflects the emotional impact it had on her, as it's had on many others," he said. In sharing this part of herself, Obama told Roberts, she hopes to help change the conversation. "The biological clock is real," Obama said. "I think it's the worst thing that we do to each other as women, not share the truth about our bodies and how they work and how they don't work." Putting her high-profile name and face on this topic will serve to help not just those who've been there themselves but also those who could be more understanding and sensitive. "For those who have gone through pregnancy loss, they will get a sense of comfort in seeing that they are not alone in the world" and a sense of hope in knowing that Obama was able to go on to have two children, Williams said. And for those who've been spared this sort of struggle, he added, Obama's story can be "eye-opening and perhaps help people be a little more careful with their words."